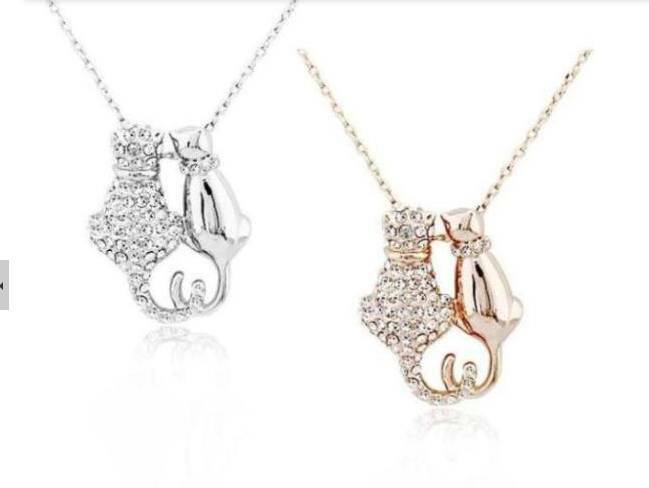 This stunning silver plated double cat necklace features two beautiful cats sitting side by side with heads tilted toward one another and tails entwined. 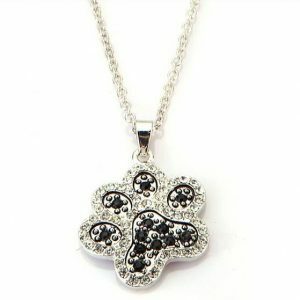 Shimmering silver plated metal alloy is combined with glistening crystals in a really gorgeous piece. 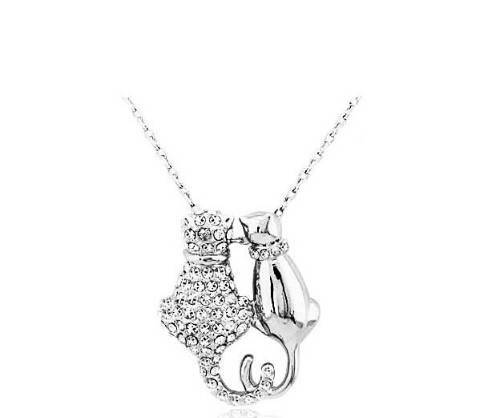 This double cat necklace truly conveys that elegance, beauty and grace that cats bring into our lives. Buy it for yourself, or give it as a gift (or do both and we’ll make an even larger donation to help homeless animals!). 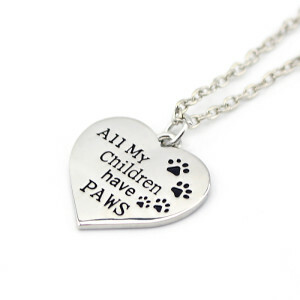 Every purchase helps needy animals and the no-kill shelters who save their lives. 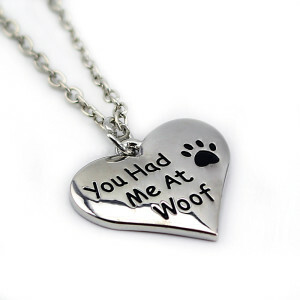 Wear it as a meaningful tribute to those in need of help. 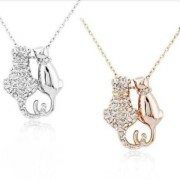 Be the first to review “Double Cat Necklace – Silver” Click here to cancel reply.